I am running 2.2 km in 10 minutes. How can I decrease my time down to 6.5 minutes? 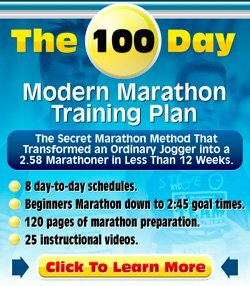 Thanks for your question about how to improve your running. I am convinced I can help you decrease the time you currently use for your 2.2k. How much you can improve is dependent on your talent and how much work you put in it. 6.5 minutes is pretty fast, faster than many people can run, so it may be a too tough goal to beat. Run regularly, at least four times a week. Make sure you can cover 10-12 km easily by first focusing on increasing mileage and running easily. I would only do easy runs in the beginning. There are other schools of thought around this, but if you are not bound to a certain date, I would always start off with a base building phase of just easy running. After you are able to do that, work on increasing your lactate acid threshold by throwing in a weekly tempo run. In addition to that, do a weekly interval run. It is best to play with the length of your intervals, so one day you do 400s, the next week you do 800s etc. Those are the basics: build up your base, then add speed work. This should enable you to become quite a bit faster.